Are You Looking To Get Your Van Windows Tinted? Do You Want To Add Some Security To Your Van? Well You’ve Come To The Right Place. At Ultimate Tinting Brighton We Are Tinted Hundreds Of Vans Around The Sussex Region, And Provide A Flexible, Affordable, Professional Service To Clients In Brighton, Hove, Seaford, Eastbourne And Lewes. Many of our customers come to us a little confused about the regulations regarding tinting the windows. 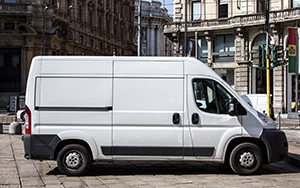 We are up to date with all the latest legislation to ensure that your van remains street legal. The last thing you want is time off the road because you have modified your windows to an extent that is not allowed by the law. A rectification order can be a lot of hassle. There are a number of benefits of tinting your van windows. We often find that the primary concern is the security of the vehicle. Window tint film can provide an extra barrier in terms of both privacy and strength. Thieves cannot see into your van, and therefore cannot assess the wares within. When they try to smash a tinted window they will also find that the glass does not shatter away but sticks to the film and is much more difficult to get through. This in itself is a deterrent to thieves. Many of our customers choose to go for a 5% tint on their van rear window and side windows. This means that people cannot see in but you can see out. This level of privacy provided adds a significant level of protection. 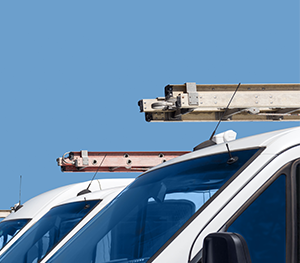 Of course, it is always good practice to remove your tools overnight and to avoid parking your van where it is going to be at risk, but the addition of a heavy tint to your windows can really make a difference. In the summer the sun can cause damage to things inside a van. It can cause the fading of woods and fabrics, and the heat that comes to windows can equally damage goods held within. Tinting the van windows will mean 99% of harmful solar rays are kept out. In addition the heat coming through the windows can be reduced by up to 86%. In certain industries this is a crucial reason for tinting van windows. Why Choose Our Sussex Van Window Tinting Service? We are professional and flexible. We do what we say we’re going to do and we work around you. Our tremendous experience means that we can ensure we get the right shade and film type for your van, and will apply it with total precision. We can normally get the job done within a couple of hours but it can take up to 8 hours for the film to dry fully. We are an affordable solution, but pride ourselves most on the value for money that we provide. Our van window tints normally come with a lifetime ownership guarantee that provides our customers with great peace of mind. We have legions of happy customers behind us, so take a look at our testimonials if you need further reassurance about our service. Get in touch today and we can book an appointment to get your van windows tinted. If you have any questions, or simply want a quote, then we will be more than happy to help.